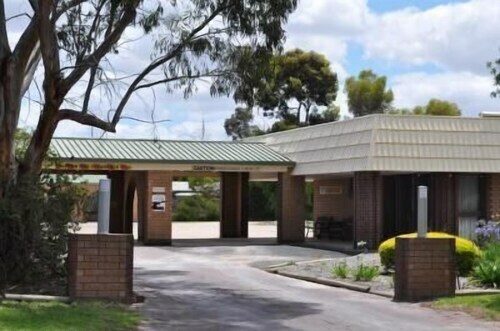 Situated in Keith, this motel is within a 10-minute walk of Soldiers Memorial Park, Keith and District Conservation Park, and Keith Swimming Pool. Memorial Park and Apex Park are also within 32 mi (52 km). You'll struggle to find any accommodation in the centre of Keith. There's just 1 hotel within 10 kilometres, so you should hurry! Wotif recommends booking a room at the Keith Motor Inn, as it's the only place close to all the main areas. After you've learned about Keith, why not explore a bit more of the area? The Limestone Coast - Fleurieu Peninsula vicinity has many other scenic and cultural delights waiting to be explored. Check out the history museums and farms. Visitors should also admire the region's beaches, rivers, lakes and cliffs. Fun-loving types might go hiking. If you want to experience some nearby localities, think about Kingston South East and Naracoorte. Journey 95 kilometres to the southwest from Keith and you'll find Kingston South East. That said, Naracoorte is 100 kilometres to the south. Kingston South East accommodations include the Kingston Lobster Motel and Lacepede Bay Motel. Naracoorte choices are the William Macintosh Motor Lodge and Naracoorte Hotel Motel. So stop dreaming and start packing! Whether it's Keith, Timbuktu, or anywhere else in this wonderful world of ours, Wotif can help you get there. How Much is a Hotel Room in Keith? Hotels in Keith start at AU$135 per night. Prices and availability subject to change. Additional terms may apply.